But you don’t want to feel like you’re tossing all your healthy habits to the curb — you want something sweet, but with redeeming, healthy qualities. 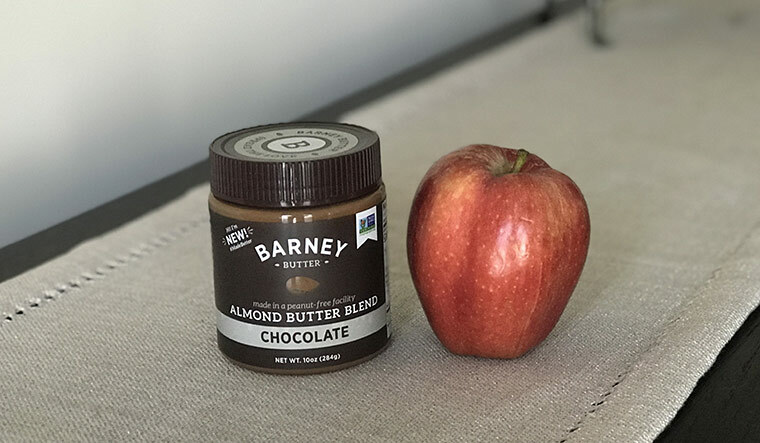 I’ve got three goodies here that I’ve been happily noshing on — and I have a feeling a few of you are gonna be heading straight to the store to stock up! 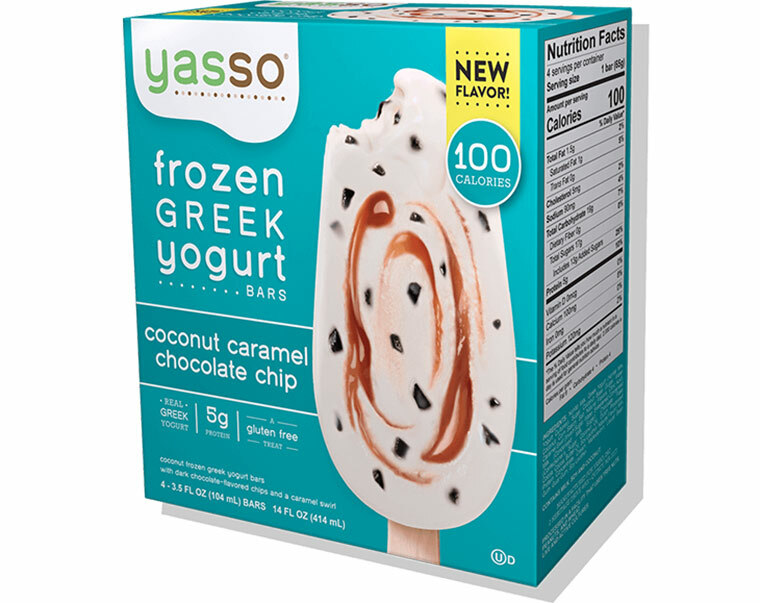 You might know how much I love ice cream and fro-yo, so I really love that Yasso uses frozen Greek yogurt so that I get that rich, creamy, ice cream-y experience I crave right along with the nutritional benefits I expect from Greek yogurt (5g protein and just 100 calories per bar. I tried the bars — and can highly, highly recommend both the Coconut Caramel Chocolate Chip and the Pistachio Brittle, although, there are loads more flavors I haven’t tried (yet). And now, they have pints, which is even better IMHO, because then I can have just a bite or two instead of committing to a whole, full-size dessert. As you know, I’m taking it easy on dairy these days, but this is one of those treats for which I’m happy to make an exception. Ready for literally the most beautifully packaged snack bar on earth? 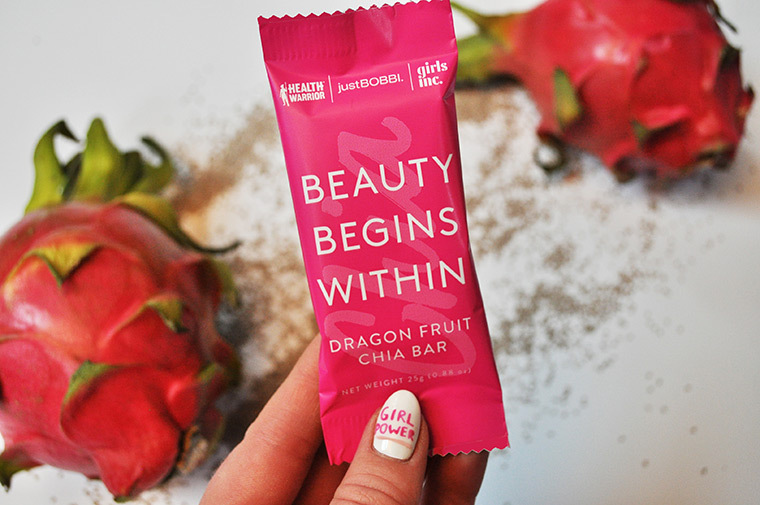 This Dragon Fruit Chia Bar from Health Warrior was created in partnership with Bobbi Brown (you know, the beauty icon and entrepreneur) — and 100 percent of profits from sales of the bar will be donated to Girls, Inc. The packaging, which reads Beauty Begins Within, is bright and chic, and the bar itself is fruity and sweet, and the texture is really appealing — those chia seeds are a really nice addition! They travel well and have served me well when I need just a little something light to get me by. However, be warned — the packaging is honestly quite striking, and when I was eating one in the airport on this trip, I had a couple of people come up to ask me about it!